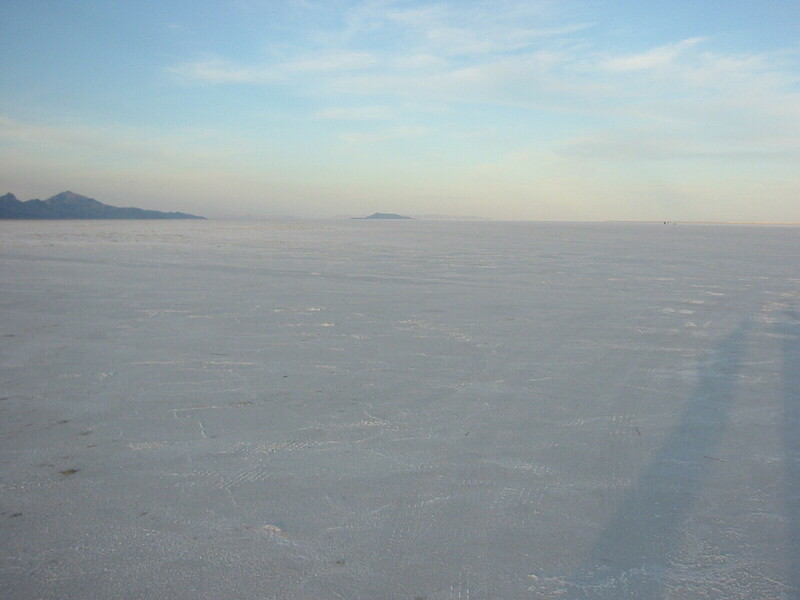 Numerous land speed records have been achieved at Bonneville, on the vast and flat natural pavement of salt: the 300, 400, 500, and 600 mile per hour land speed barrier were all broken here over the years. The Blue Flame, a rocket-powered four-wheeled vehicle, set the land speed record of 631.4 miles per hour in 1970, a record that stood for more than a decade, and the last of the major high speed records set at Bonneville. Land speed records are classified a number of ways, and the current official land speed record, with a speed sustained for over a mile in distance, is over 700 miles per hour, obtaned by the jet-powered car Thrust 2 at the Black Rock Desert in Nevada. The raceway, which spends much of the year under water, is slowly disappearing, and many racers are heading to the Black Rock Desert and other dry lakes. The hard-packed solid salt area which is used for the races has shrunk from 15 miles in length in 1950, to 10 miles today, and the quality of the surface has decreased. 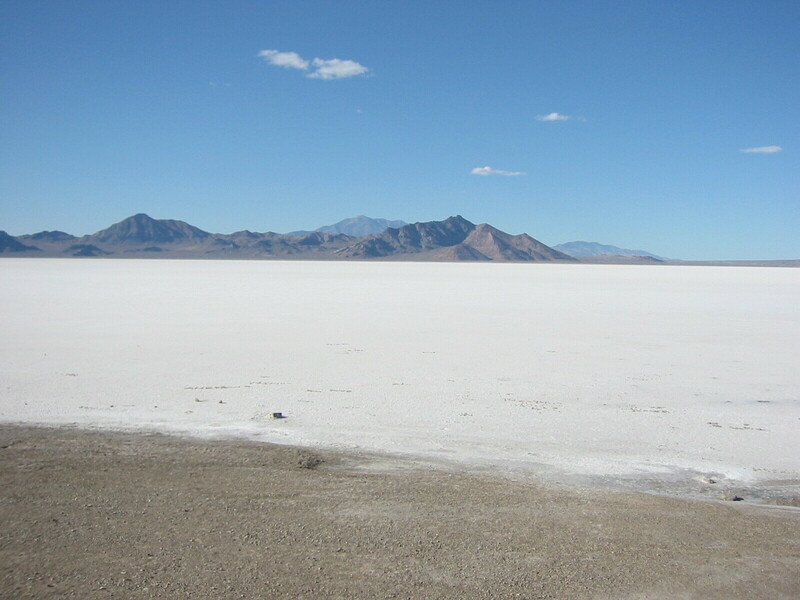 A project to restore the hardpacked salt has been initated by the chemical company that mines the flats, and the Bureau of Land Management, which owns the land.